When will be Cegin Bryn next episode air date? Is Cegin Bryn renewed or cancelled? Where to countdown Cegin Bryn air dates? 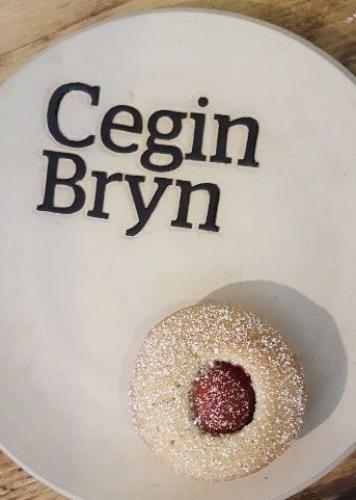 Is Cegin Bryn worth watching? Cookery series with Bryn Williams. Bryn Williams cooks rich and comforting puddings made with cream. Chef Bryn Williams competes in a mackerel fishing competition and then cooks three recipes using the fish. Chef Bryn Williams cooks with pork today. He also visits a Llangollen butcher to see how he prepares black pudding and uses it in a recipe. This week chef Bryn Williams prepares recipes with berries and visits a community allotment called 'Vetch Veg' in Swansea. Bryn Williams cooks with salmon including poached salmon and salmon with curried mussels. Cegin Bryn next episode air date provides TVMaze for you. EpisoDate.com is your TV show guide to Countdown Cegin Bryn Episode Air Dates and to stay in touch with Cegin Bryn next episode Air Date and your others favorite TV Shows. Add the shows you like to a "Watchlist" and let the site take it from there.